Ahad Tarade of Karnataka Law Society’s Gogte Institute of Technology (GIT), Belagavi, is the topper among gold medalists with 13 medals. 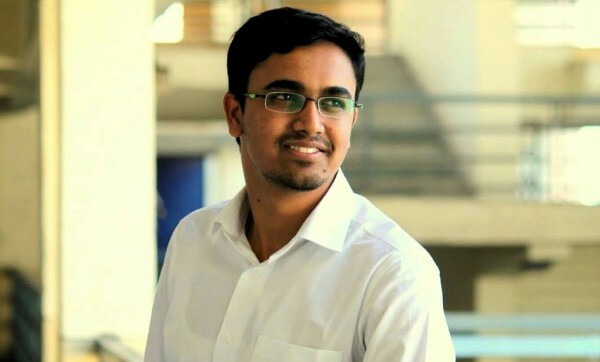 He has secured first rank and created a record by bagging 13 gold medals and scoring highest marks across all engineering branches under Visvesvaraya Technological University (VTU) in the state. He also got highest aggregate marks in all the eight semesters in Civil Engineering. Ahad Tarade had scored 93.28 per cent marks and among the 13 gold medals, he will be getting Nijagunappa Gurulingappa Hakkapakki Gold Medal, S.G. Balekundri Gold Medal, Murthy’s Medal of Excellence, R.N. Shetty Gold Medal and VTU Gold Medal. He would honoured during VTU’s 14th annual convocation to be held at its auditorium at Jnana Sangama campus here on May 9 at 11 a.m.
Ahad is presently doing post graduation in Real estate and urban infrastructure management from national institute of construction management, Pune and he did his schooling from St.Paul’s High School. Governor and Chancellor of VTU Vajubhai Vala would preside over the convocation. Minister for Higher Education and Pro-Chancellor of VTU R.V. Deshpande would also attend the event. Railway Minister Suresh Prabhu would deliver the convocation address to the gathering. Please do a master plan for belgaum city as you would be the best person to do it, you being localite to belgaum you know every corner of the city and its status, this would help you understand the need of belgaum. If not for inside city which you cost more, atleast for the new area develpoing and the new roads made. Once you do a master plan for belgaum hand over this to our local MLA and MP and corporation. Congratulations, Ahad! I wish you all the success in all your future endeavors! Hope young Belgaumites wil be inspired by him.Congrats. Thanks AAB.